It’s your special event, so celebrate somewhere special. 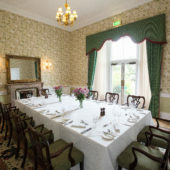 Balbirnie is a wonderful party venue. Birthdays, anniversaries, christenings, family gatherings, whatever the occasion- let us help make your own event memorable. With a wide choice of beautiful private rooms, we will assist with planning your celebration. You can be confident your party will be perfect, right down to the last tiny detail. 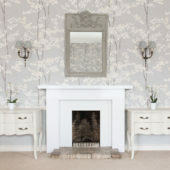 Decor and Enterainment – often it’s all the little things which help to create the right atmosphere. We can assist across the board – table decorations, flowers, themed decor, stationery, magicians, bands, discos, casino tables, photographers, red carpets – we even have our own LED sparkly lit dancefloor! Whatever you need, just get in touch and ask. The food is quite simply delicious. We are very open to discussing your own bespoke ideas too if you have any particular ideas in mind! 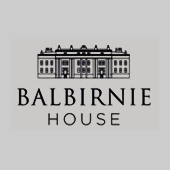 Balbirnie is also available for exclusive use – the keys are yours!